We are offering great vacation rental on Anna Maria Island. 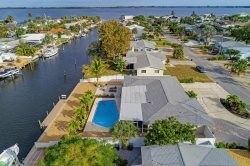 If you are looking for wonderful Longboat key vacation rental homes, we offer some of the best Florida rental homes you can find there. We also rent room at the BridgeWalk Resort on Anna Maria Island. We also offer Bradenton Beach rentals throughout the city, and also offer rentals at the Silver Surf Gulf Beach Resort on Bradenton Beach.